Banking on the skills of our qualified team of professionals, we are involved in providing high quality range of Water Purifier Pump Elbow. Established in the year 2012, Tip Pure is one of the famous names in the market. The ownership type of our company is a sole proprietorship. The head office of our corporation is situated in Multani Dhanda, Delhi (India). 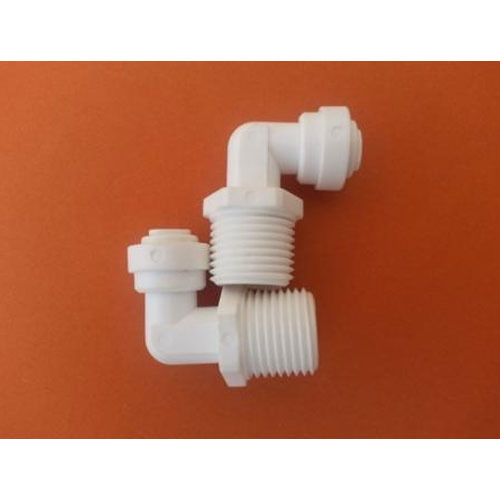 Enriched by our vast industrial experience in this business, we are involved in manufacturing an enormous quality range of R.O Plant, Water Filter Parts, Water Purifier, Water Filter Spare Part and many more. To offer these products, we have with us a specialized team, who are aware of the rising customers’ preferences. Our quality integrated collection is the production of the combination of the durable work of our hard-working manpower and the contemporary techniques that we own as our pride. We present superior products to our clients and with a vision to improved focus on research and development. Currently, we are in connection with most of the precious clients of the industry to develop a niche market for ourselves.